Fall tends to catch me looking forward to a bit of cooler weather (not easy to come by in South Florida and not that I’ve secretly been hoping for it for months !) Close on the heels of the notion of cooler weather, comes ideas of apple desserts. There are many from which to choose, but those with huge chunks of apples peeking out from beneath a sweet, crunchy, buttery topping are among my favorites. 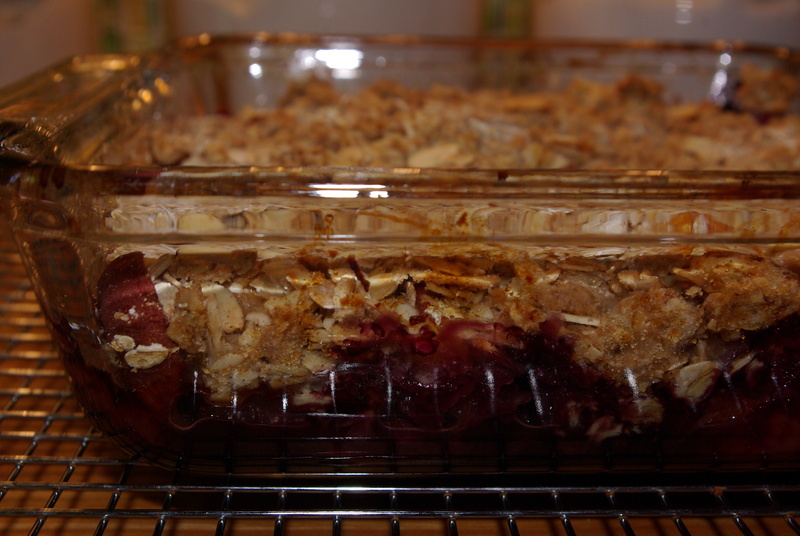 I adore rustic fruit desserts for many reasons…the act of making them seems almost ancestral. Somehow, for me, the more craggy and chunky a dish is – the more pleasurable it is to make and to eat. Possibly the appeal of creating a simple and unassuming dish such as this, is that it seems more earthy, more direct and uninhibited. Yes, all of that from a dessert. Enjoy. Bakers Note: This is a sweet dessert. If you prefer a little less sweetness, simply cut back on the sugar. Keep in mind the kind of apple you use may bring a sweet or a tart quality to the final baked good. I have made many variations on this dessert. 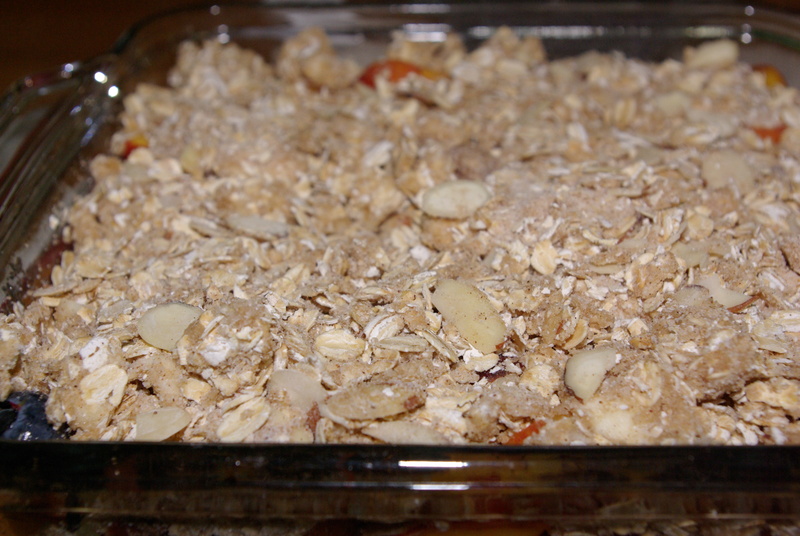 I’ve found that the addition of the oats adds the substance, heft and crunch that I prefer to the topping. The cinnamon and nutmeg lend a bit of heat and spice. 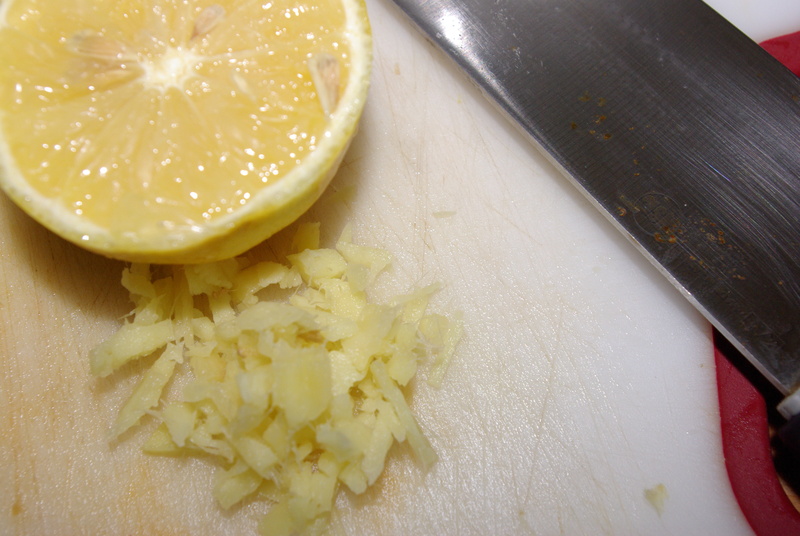 The lemon juice makes all of those elements sparkle just a little bit more. Preheat the oven to 375 degrees. Butter an 8×8 baking dish and place on a baking sheet. Set aside. In a large mixing bowl add the chopped apples, sugar and lemon juice. Stir to combine. 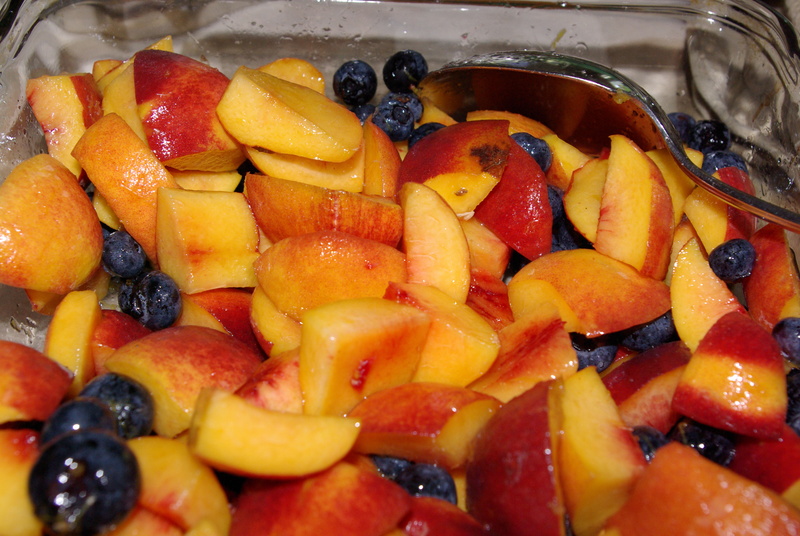 Pour evenly into the baking dish, leveling out the fruit if necessary. Evenly scatter the topping over the prepared fruit. Bake in preheated oven on the baking sheet (which will catch any juices bubbling over) for 30 – 35 minutes. Increase the oven temperature to 400 degrees and bake for another 10 – 15 minutes until the top turns golden brown.